Only a few steps away from Karl. It’s here. The first Paris Haute Couture Fashion Week of 2015. Just a few steps away from the American University of Paris, the Haute Couture défilé of the Chanel Spring Collection took place on Tuesday, 30 January at the Grand Palais just across the Pont Alexandre III. 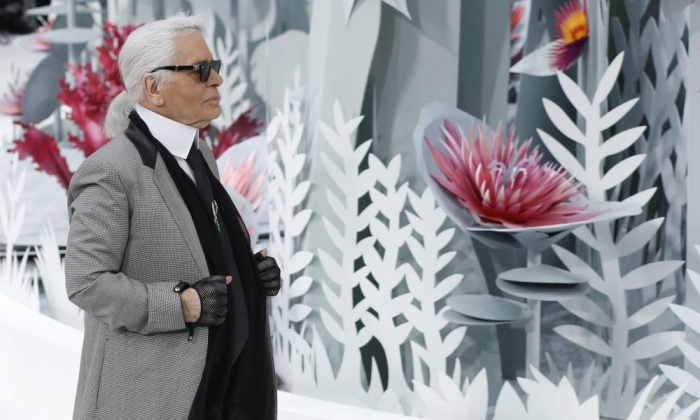 Despite the cold weather, Karl Lagerfeld turned the Grand Palais into an exotic magical garden in which flowers met fashion. Particularly Kris Jenner seemed to be inspired by Chanel’s spring collection, as she decided to attend the show in see-through pants. Despite what the critics say, Kim’s Mum can pull it off! Only a few VIPs could call themselves lucky enough to sit in Lagerfeld’s Garden of Eden, but there are perks of living in the fashion capital. The scene outside the Grand Palais was magical. Thanks to fellow amateur paparazzi, I knew exactly where to go to capture the best photos of the invited guests. Anna Wintour decided to wear a little more than Kris Jenner and looked absolutely fabulous in her Chanel blazer and matching skirt. Inès de la Fressange, a former French mannequin for Chanel was also present. 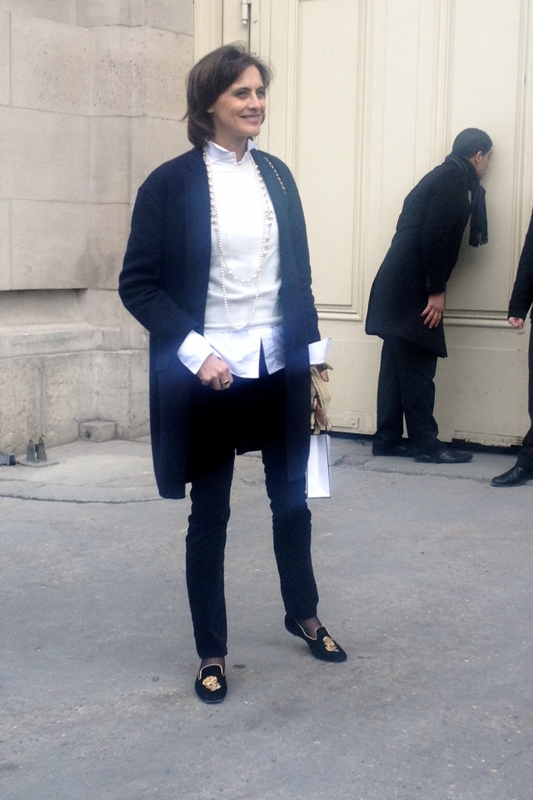 In her elegant outfit that she styled up with long pearl necklaces, de la Fressange looked very chic à la Coco. Thank you Paris for giving fashion enthusiasts an opportunity to take part in such phenomenal scenes. La vie est belle.